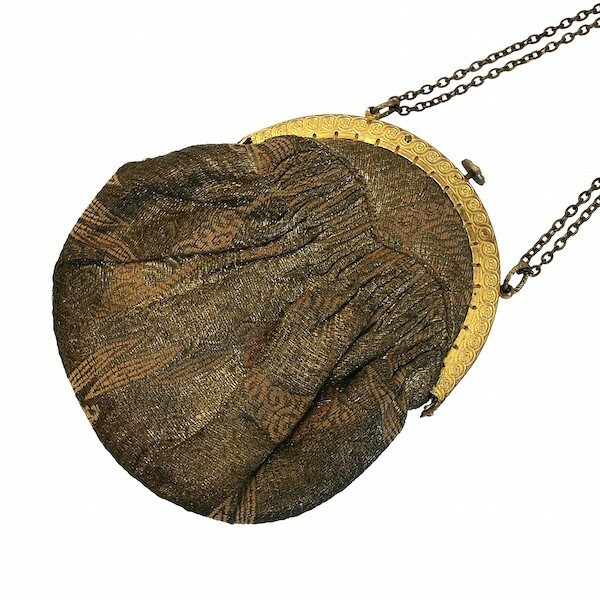 This pretty and evocative bag was created in the 1920s. Very Good - Some minor discolouring to the lining of the bag. This does not affect the functionality of the piece and is consistent with age and use. 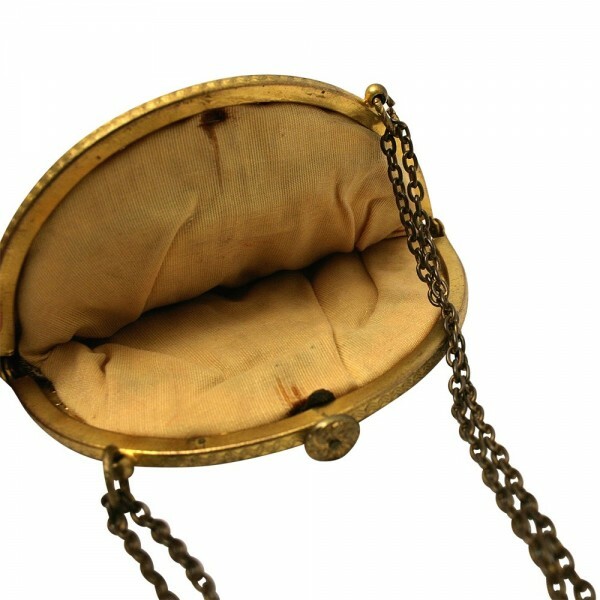 This elegant bag is constructed from pale pink and gold lamé (a fabric with golden thread running through it). The fabric is patterned with an Egyptian Revival themed design. 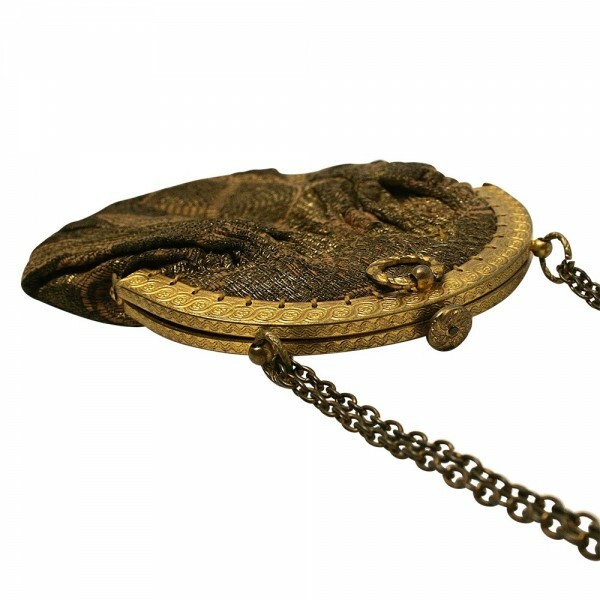 It features a gilt metal frame stamped with a scrolling pattern on both sides and fastens with a push down clasp detailed with a gilt metal wreath shape on the front of the bag.The bag can be carried with a open link chain. It has one central compartment and is lined with a champagne coloured cotton fabric. Lamé is a type of fabric that is woven with metallic fibres. 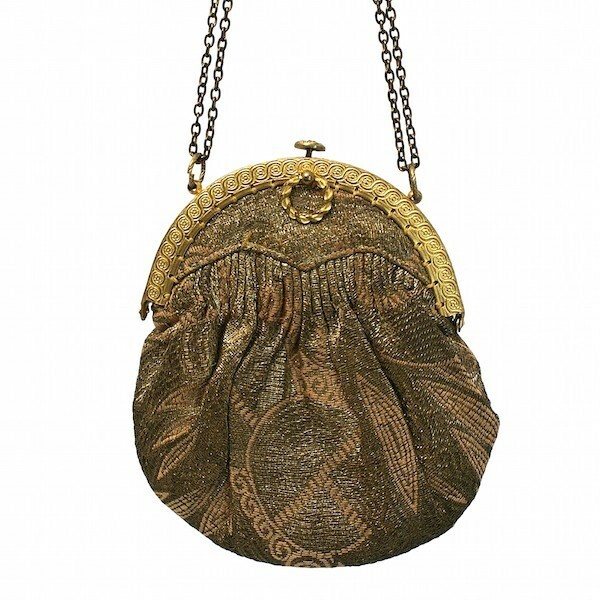 In the case of this bag, the lamé is woven with golden thread. It was highly popular during the Art Deco period for the making of dresses, shawls and bags. It reflects the light beautifully and met women's demands for attractive evening wear to accompany their new found freedom. This bag is the perfect accessory for formal daywear - perhaps pair it with a floral maxi dress for a winter event?